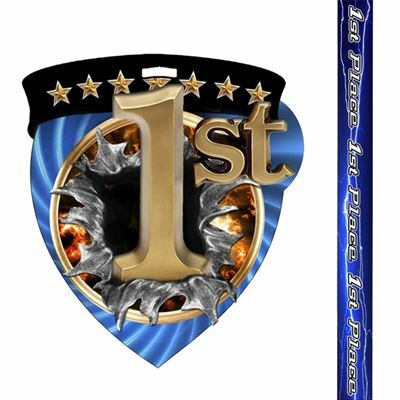 This medal features a brilliant full color epoxy dome on a 2 5/8" x 3" shield, showcasing an exciting activity scene with figures bursting through the medal. Back is finished black. Each medal comes with an upgraded, neck drape with deluxe full-color matching print.